From the last week of April through the first week of November, you can find us at the Saturday Morning Dane County Farmers’ Market on Madison’s Capitol Square. 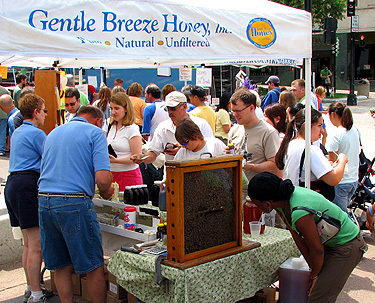 Our booth is located on the west side of the Square at the corner of Carroll Street and West Washington Avenue. 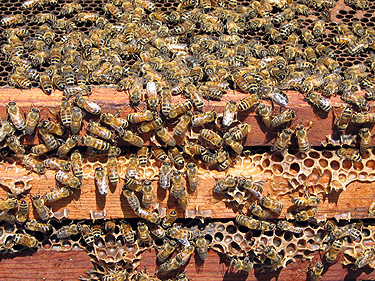 Stop by and visit us and get a close-up look at the honeybee observation hive! 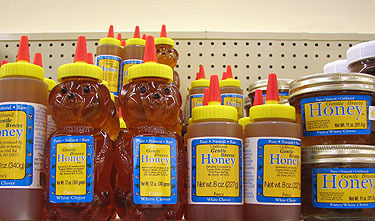 Please e-mail us at gentlebreezehoney@gmail.com for specific retail locations. Please email us for specific retail locations. 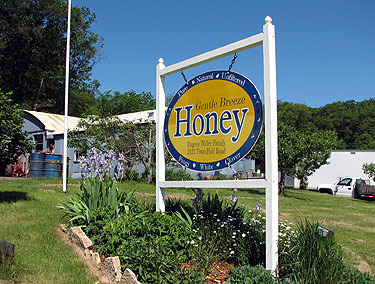 You may also give us a call and stop by at our honey facility in the rural Mt. Horeb area (20 miles southwest of Madison) and buy "off the farm."